The beaches! Venture along and you'll be greeted by warm white sands, coral reef, palm trees, ragged steeped rock one way and an unbelievable ocean view to the other; with safe water for swimming or snorkelling, and great waves for anyone who fancies a surf. If you go to Sukarara, a hand weaving village, you'll find small thatched buildings, and women making vibrant textiles. The local 'delicacy' is the brightly coloured songket cloth that has been made here on handlooms for generations. You can buy something special to bring home with you, and hang on to a little of the Indonesian spirit. 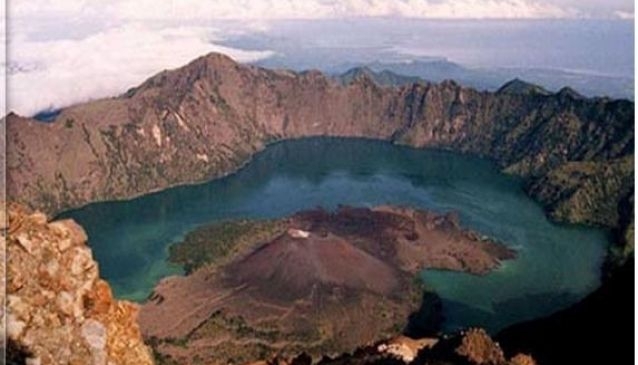 Rinjani trekking can also take you to pottery villages, bamboo crafts villages, and traditional villages. The unique temples in the West Lombok area (built as far back as 1714) are not to be missed, and you can take guided visits with Rinjani Trekking. Make sure you visit the 'Balai Kambang' which has a great story behind it too. You can even visit a spring believed to grant eternal youth with its waters, at 'Narmada Park' or 'Taman Narmada'. At the 'Lingsar Temple' or 'Pural lingsar', pilgrims act mock battles between Hindus and Muslims by throwing rice cakes at each other. However this is actually a rare temple for the fact that Hindus and Muslims both worship here, harmoniously.